The set is printed at Eduard Gustav May 1845-1914. 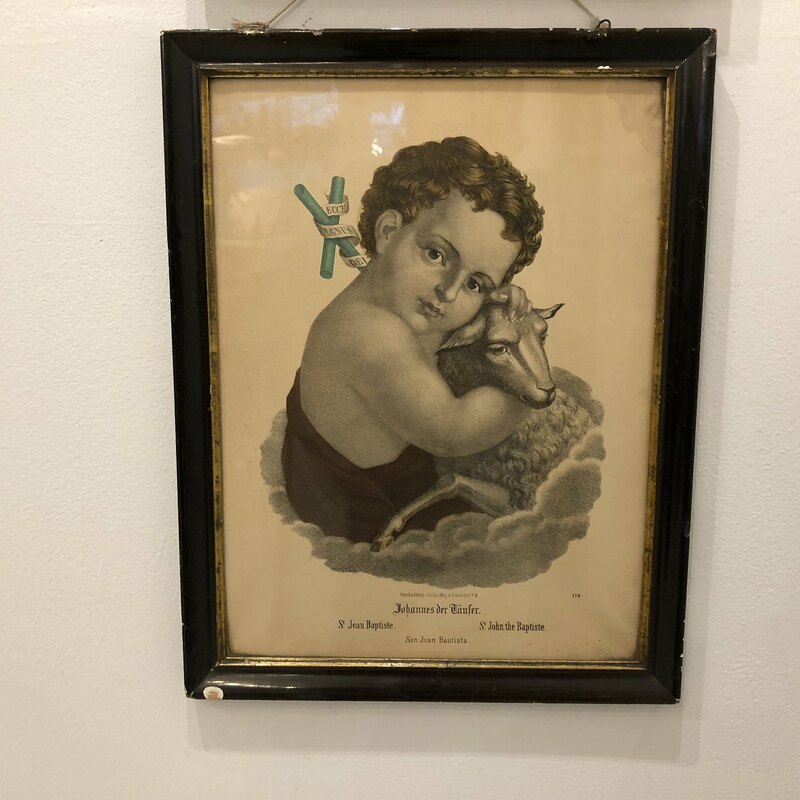 The prints are from the beginning of the 1900 century and depicts Jesus Christ and John the Baptist. They are printed in Frankfurt, Germany and are in German, French and English. 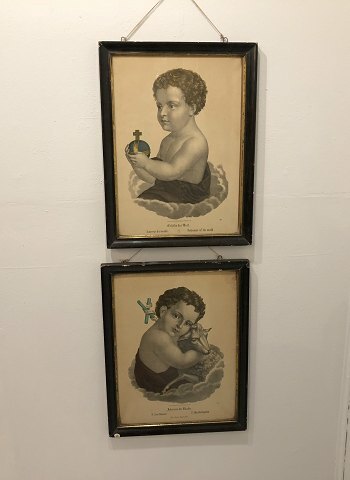 Both are in black lacquer frames - these have a little natural patina and few chips. 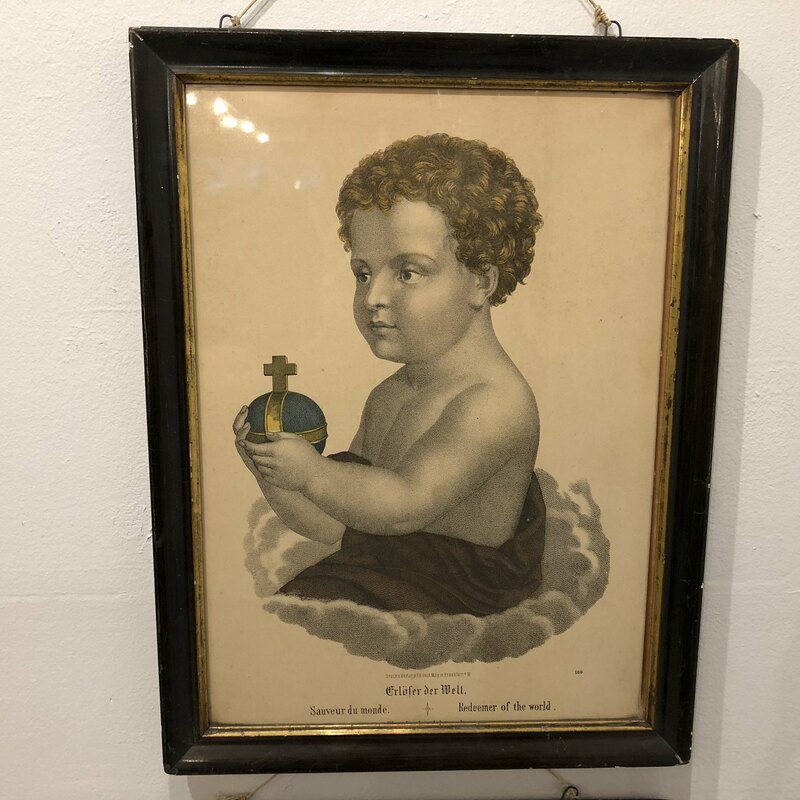 The child of Jesus is pictured as a child with a regal apple. 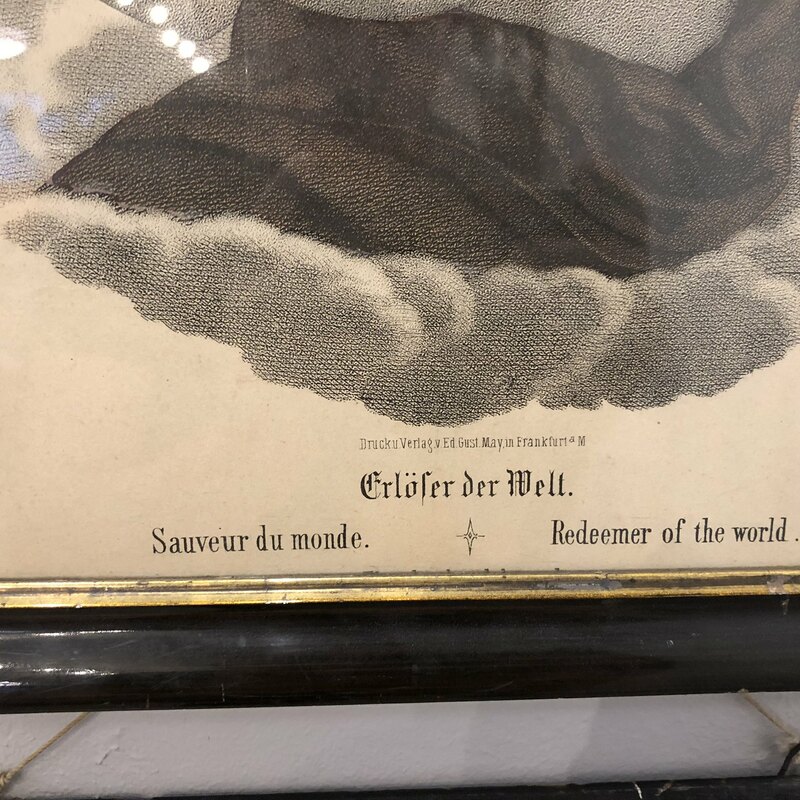 Erlöfler der welt, Sauveur du monde, Redeemer of the world. John the Baptist is pictured with a lamb and a cross, on which it say "Ecco Agnus Die", that is a reference to Jesus Christ as the lamb, taken away human kind sins. 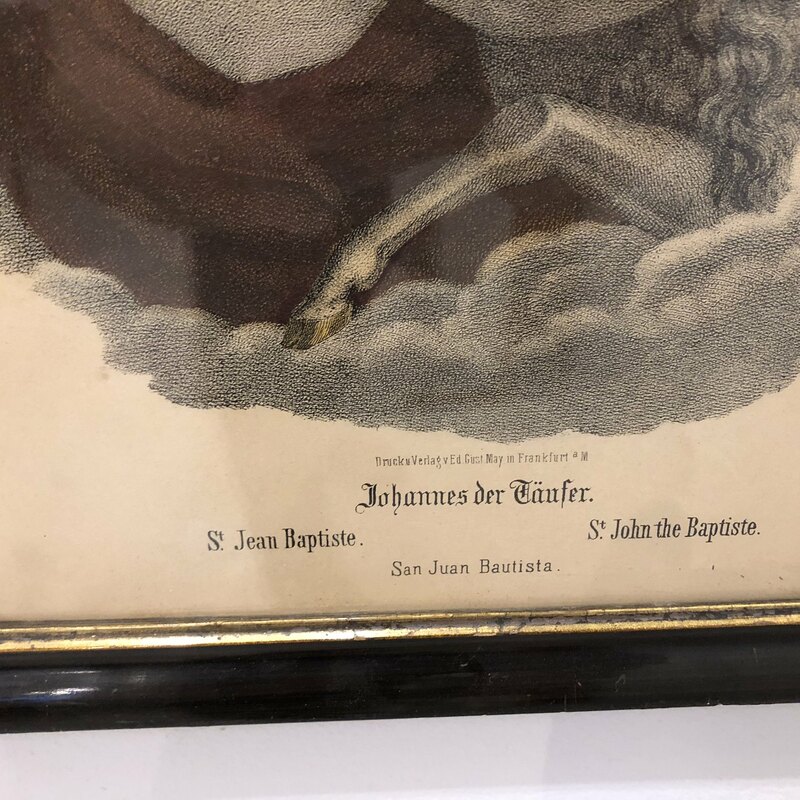 Johannes der Täufer, St. John Baptise, St. John The Baptist. They are both with the old hook hanging, meant for a gallery line along the ceiling. St. John has an old damage to the paper, in one corner.